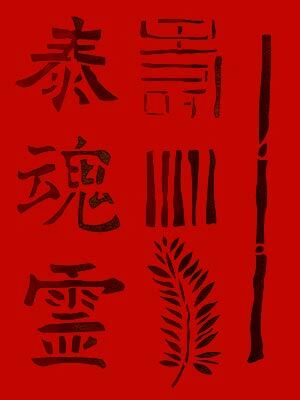 The Abstract Oriental Pattern Stencil comprises a combination of abstract shapes, oriental calligraphy motifs and feather and bamboo stalk motifs – offering a myriad of decorative possibilities. 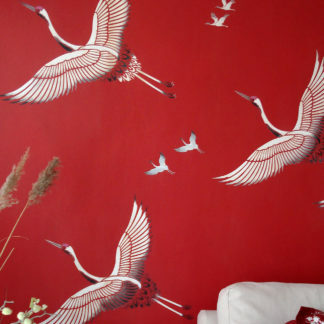 Perfect for adding a touch of Feng Shui calm to your decorating schemes. 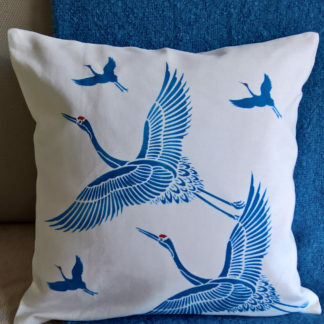 Stencilled in simple two-toned colours of almost any combination, these decorative motifs will add a distinctive and modern, oriental look to simple decorative schemes. 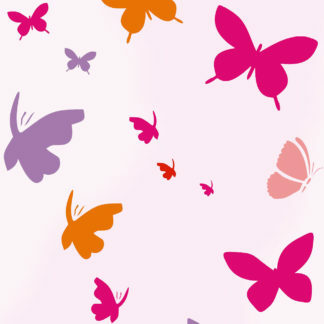 This design looks beautiful stencilled onto both walls and fabric for drapes and bed linens. Size specifications below. 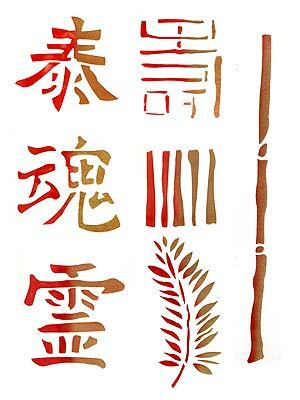 Above top – the 7 motifs of the Abstract Oriental Stencil on a deep Chinese red background, stencilled in Very Berry Stencil Paint and partly over-stencilled in Antique Gold Metallic Stencil Paint. 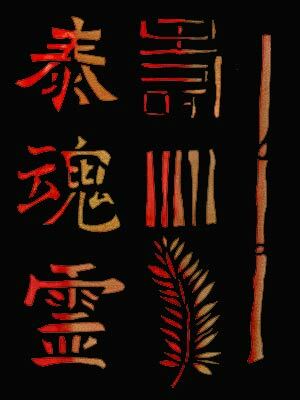 Above – the 7 motifs of the Oriental Stencil stencilled in Jet Black Stencil Paint on a classic Chinese red background. 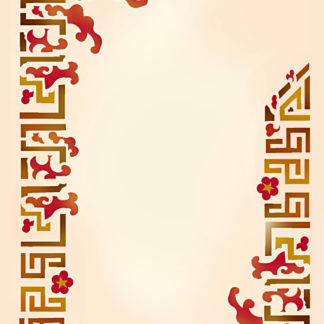 Above – the 7 motifs of the Abstract Oriental Pattern Stencil in Very Berry and Butterscotch Stencil Paints on a black background. 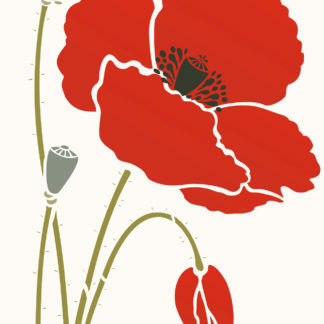 Above – the same colours are stencilled onto a white background. 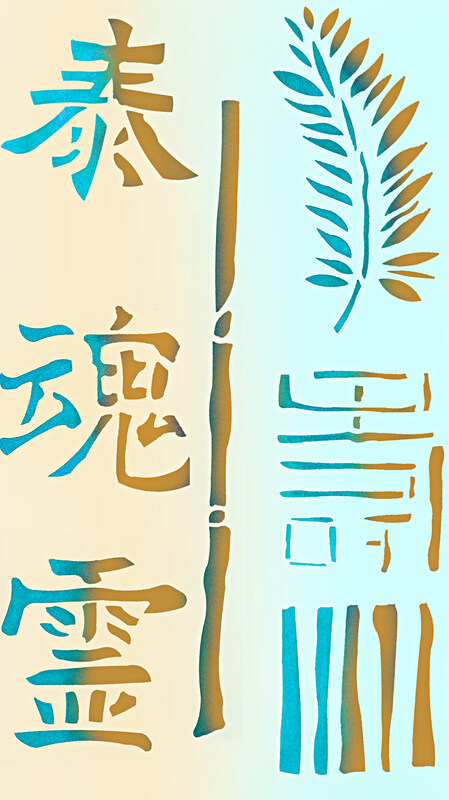 Above – the different motifs of this stencil pack are stencilled on a cream-aqua background in Paradise Blue Stencil Paint, over-stencilled on one side with Antique Gold Metallic Stencil Paint. 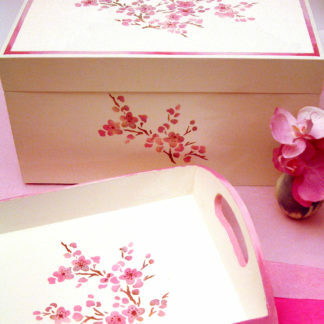 Use with the Chinese Border & Corner Stencil and the Floral Fretwork Border & Corner Stencil. 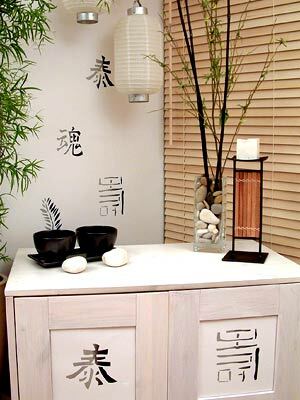 Above – the different motifs of the Abstract Oriental Pattern Stencil on crisp white walls and painted cabinet, stencilled in Arctic Grey and Jet Black Stencil Paints with Silver Lights Metallic Stencil highlights. 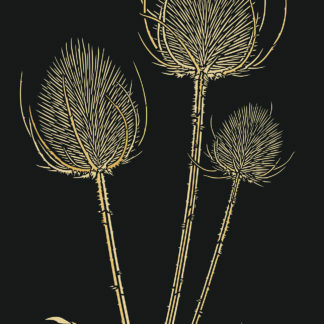 Above – close up detail of some of the motifs of this theme pack randomly placed on the white wall. 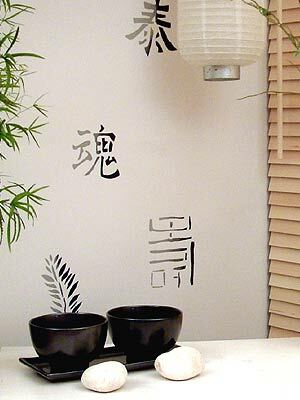 Above – the 7 motifs of the Abstract Oriental Pattern Stencil applied to square panels and stencilled in Jet Black Stencil Paint, partially over-stencilled with Silver Lights Metallic Stencil Paint for a modern graphic effect. 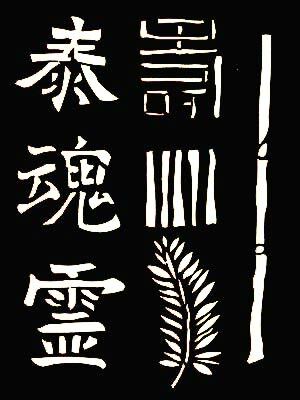 Above – the 7 motifs of the Oriental Stencil in Ice White on a black background. Calligraphy motifs – top left ‘Spirit’ calligraphy motif; middle left ‘Calm’ calligraphy motif; bottom left ‘Soul’ calligraphy motif. 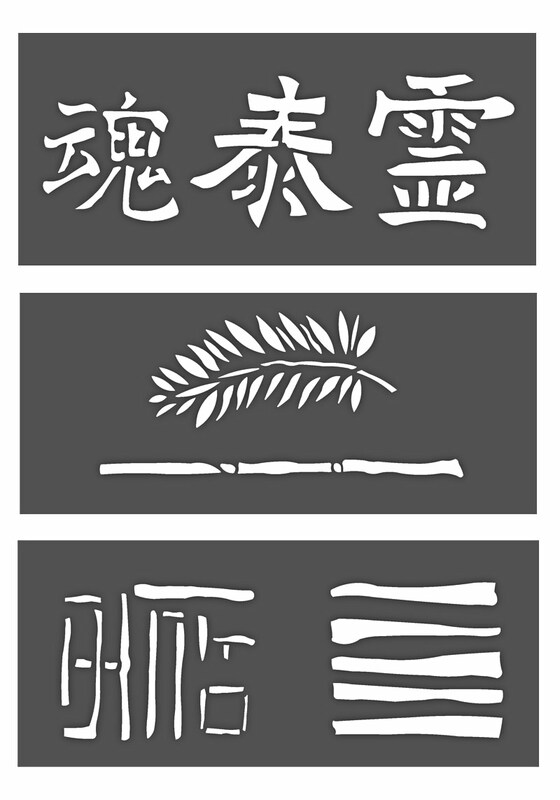 Seven motifs in one layer format on three sheets. Two abstract motifs up to 12cm (4 3/4″) x 16cm (6 1/4″). 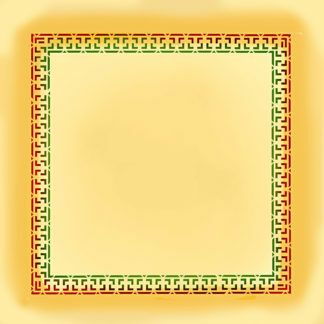 Three calligraphy motifs up to 13.5cm (5 1/4″) square at widest points. Feather motif 8cm (3 1/4″) x 20cm (8″) tall. 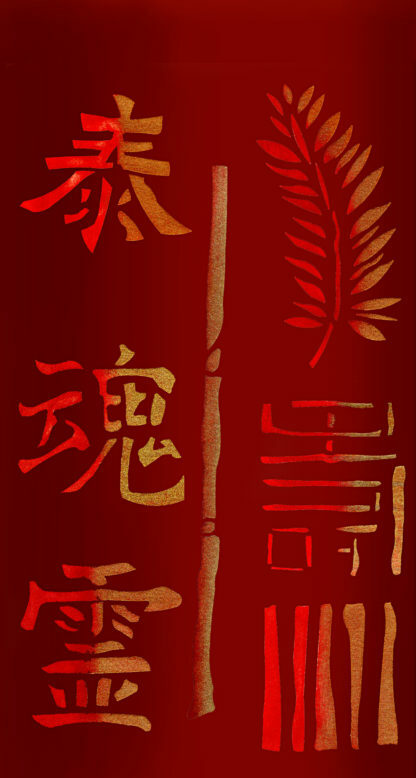 Tall bamboo motif 1cm (1/2″) x 29cm (11 1/2″) tall.